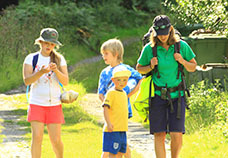 Min y Don is great for School groups - with all our activities on-site. This means more time with your group and less time travelling! Leave behind the daily routine and let us look after everything so you can spend time with your family. 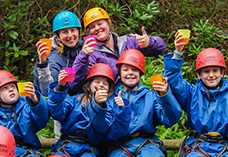 Youth Group residentials, Church weekends away, a team building weekend for your business or anything else - we've got it covered. 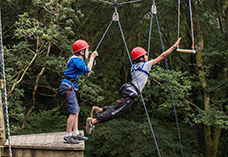 Aged 11 - 14 and looking for an adventurous way to spend your summer holiday? 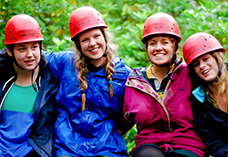 Superbly situated on the shores of the Mawddach Estuary and set against the spectacular backdrop of the Cadair Mountain Range, Min y Don Christian Adventure Centre provides a unique setting for Family and Youth Group holidays, small conferences and retreats, and the perfect setting for residential outdoor education courses for Schools. Located on the southern edge of the Snowdonia National Park, Min y Don comprises a 13-acre estate of gardens and woodland that provide a peaceful yet challenging environment in which to find Rest and Relaxation or Adventure and Excitement!